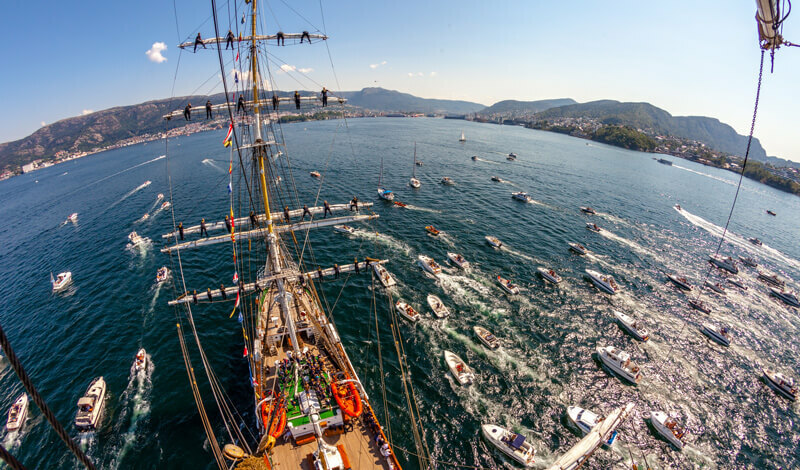 Sailing in the wake of the great explorers the Rendez-Vous 2017 Tall Ships Regatta is the adventure of a lifetime – a 7,000 nautical mile trans-Atlantic race visiting six countries. Sail Training International, the race organizer, is working in partnership with the City of Québec, in association with Le Rendez-vous Naval de Québec, to take a Tall Ships fleet of up to 40 vessels across the North Atlantic Ocean, with visits to selected host ports. This epic event marks the 150th anniversary of the Canadian Confederation through its founders and founding provinces. 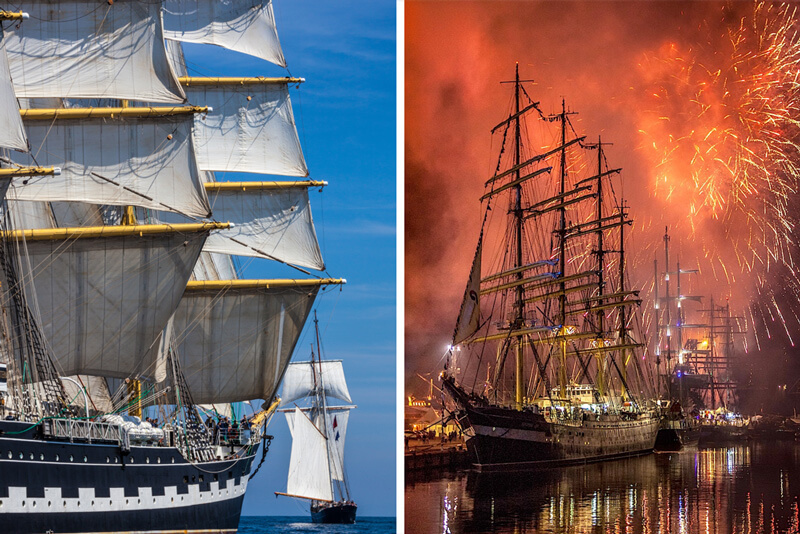 You can visit the Tall Ships in six different international ports in the United Kingdom, Portugal, Bermuda, United States (Boston), Canada and France – each offering free family festivals. Or visit a selection of ships in many of the Canadian guest ports as part of the Guest Ports Programme. Have you ever wondered what it’s like to sail on board a magnificent Tall Ship? Don’t just wonder – do it. You are invited to sail in the Rendez-Vous 2017 Tall Ships Regatta. No experience necessary. This is a unique opportunity to take part in a choice of up to five different international races, or five Guest Port Programmes around the Gulf of Saint Lawrence in Canada. Each race or Guest Port Programme offers sailing challenges for trainee crew aboard Tall Ships of different sizes. Each port will be giving trainees the opportunity to enjoy different maritime heritage and culture, and take part in many team activities and parties.